Step up your fashion game and footwear collection with a boot that commands attention. 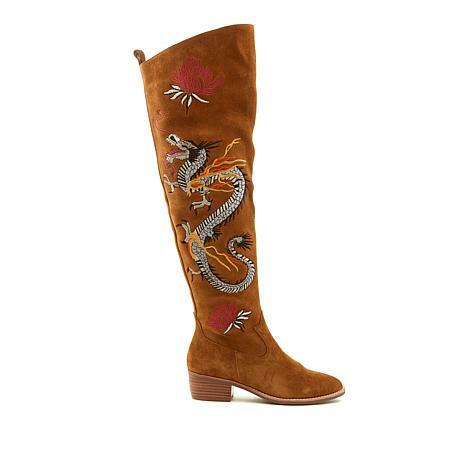 This suede over-the-knee boot eleveates your look with stunning "dragon" embroidery that's second to none. Whether paired with a miniskirt or skinny jeans, these boots were made for flauntin'. Love. These boots are fabulous. 10 stars. Beautiful, comfortable, pretty amazing all around. Sized correctly. 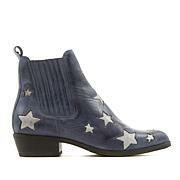 A well designed suede tall boot with an artistic flare. Excellent fit for those of us that need a wide calf leg opening. Stylish toe box and great heel height. Purchased the tan color. It is a nice rich color. Great addition to my shoe wardrobe. I get compliments wherever I go with these. I bought the tan, but I may buy the black ones too. I bought my usual size and they fit perfectly. These are one of a kind! 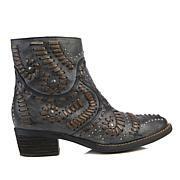 I love these gorgeous boots! I wear a 7 so I bought a 7 1/2. 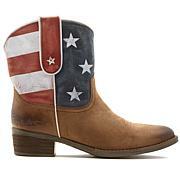 They are a bit snug in the calf but I took them to my western store and had them stretched . Lots of compliments! I got the black. 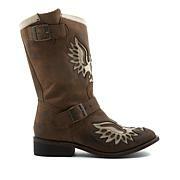 These boots are gorgeous and super comfortable. The fit is perfect. Hopefully the Adrienne Landau tapestry faux fur coat comes back because paired together is a look straight out of Vogue. You will not be disappointed with these boots. Double-gore ankle rain boot. Fabric lining. Fabric covered removable insole. Flat moulded unit construction. Approx. 1 inch heel height. Shaft height is 5 1/2 inches, Circumference of shaft is 8 1/2 inches on a size 6 boot. Water resistant. Double-gore. Spot clean. Made in China.